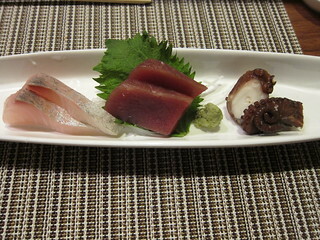 All of them were fresh, but I loved the texture of the kanpachi in particular. 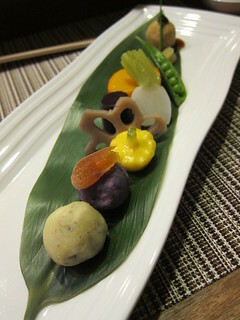 From here we moved on to more adventurous flavors. The thick clam sauce had such strong flavors. If you were to make a concentrate of the flavors of the ocean, that might've been it. 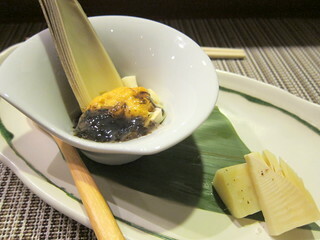 Between the sauce and the buttery uni, a bite of bamboo shoots was necessary. 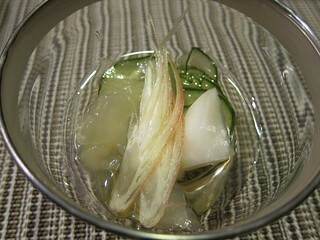 The squid was thinly sliced to resemble pasta and it was divine mixed in with the uni and quail egg. 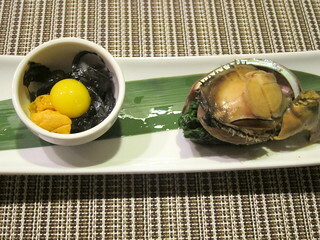 The chewy baby abalone seemed "standard" until you realize it was also served with the gonad! 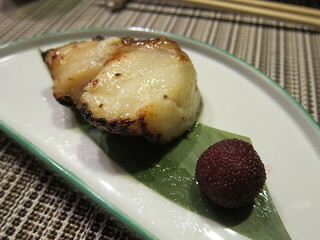 The kinki fish was very meaty but it was well-prepared and retained its juices. 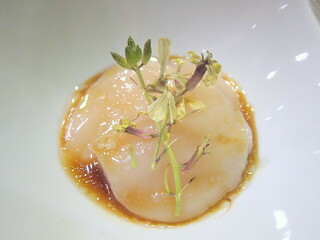 I loved the squid with uni dish, but this may be my favorite dish of the night. It was extremely comforting and nourishing while leaving you with a light, clean feeling. 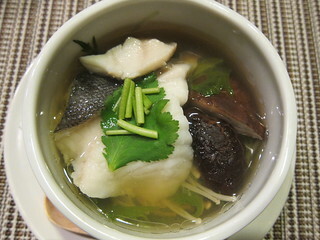 It was not just the contents but the light broth itself was excellent. I hope he has a pot of this ready on the winter nights. 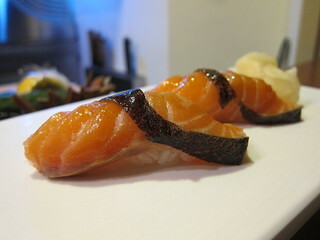 The marinated salmon was deliciously fatty and almost resemble eating a piece of smoked salmon. I need to try more of his sushi obviously, but the marinated salmon was a great teaser. 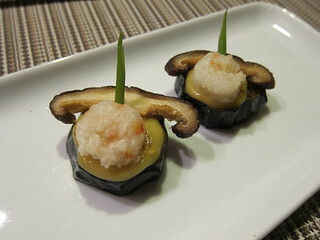 Now that I know the omakase does not include sushi, next time I will make a special visit to try his sushi!